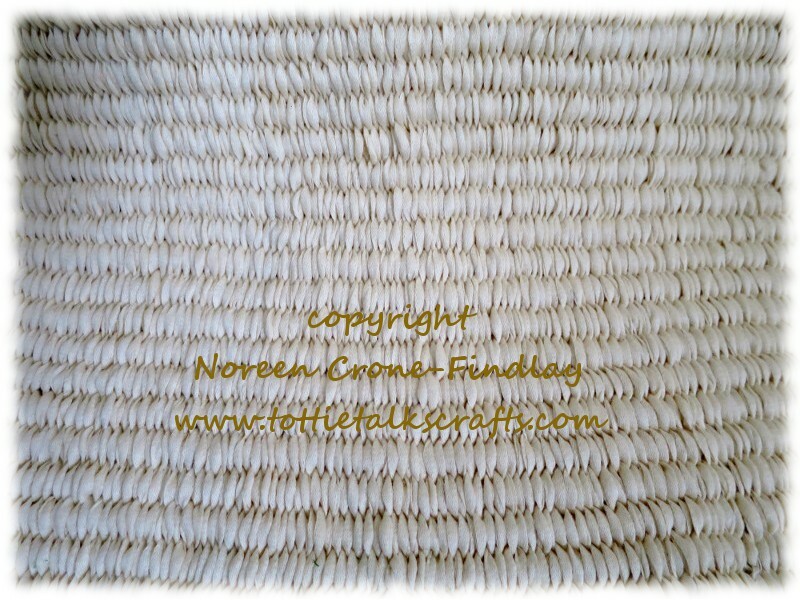 While I am weaving up a storm, working on projects for my new book, I can’t post pics of what I am weaving. You know…. you just can’t ‘scoop’ yourself and let the cat out of the bag, no matter how enticing it would be to let it out for just a very little peek. But, nope. It’s zipped lips and fingers off the keyboard when the itch to do a tiny reveal has to be firmly pushed down. I had this bright obviously Not so bright, idea that I would weave the background for all the project and how to photos on the peg loom. I wove and wove and wove for many an hour…..
And wove a large background piece. And, merrily shot photographs using it. I am learning the nuts and bolts of my new camera and so I sent photos in to my editor to make sure that the photos will be acceptable for all the manipulations that have to happen for publishing. The art department nixed the background. Should have checked in on that one sooner, shouldn’t I? Building a book is never a straight line- it’s a ziggy, zaggy, loopy and sometimes, snaggy one, indeed. But hey, at least I was able to show you something that I have been working (and working and working) on. 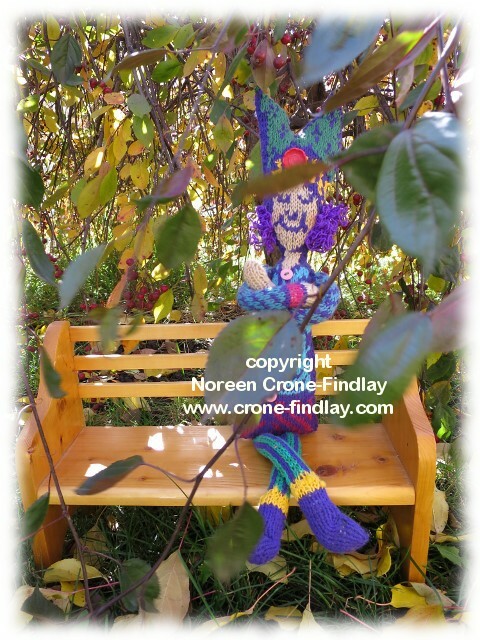 The Permission Doll was inspired by a wonderful thing that my father once said to me. I asked him if he thought that a coat that I was thinking of making for myself was going to be too wild. He thought about it for a long time, and then declared: “Just wear it with panache!”. I often think about living my life with panache, and about how important it is to stretch ourselves and to try new things. We have to give ourselves permission to be brave and to find delight in all kinds of ways. 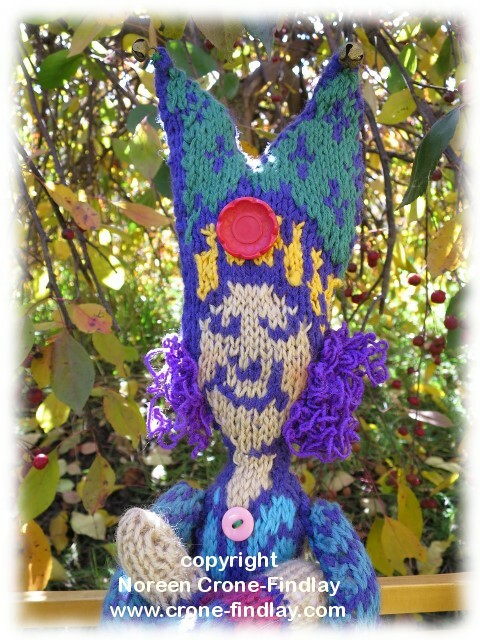 So, when you knit yourself the Permission doll, remember to live your life with panache! And, every time you look at her, I hope that she will make you smile and spark a little extra bravery, whimsy and delight in your life.